Fun, comfortable, luxury sedan that is reliable and gets good fuel mileage. 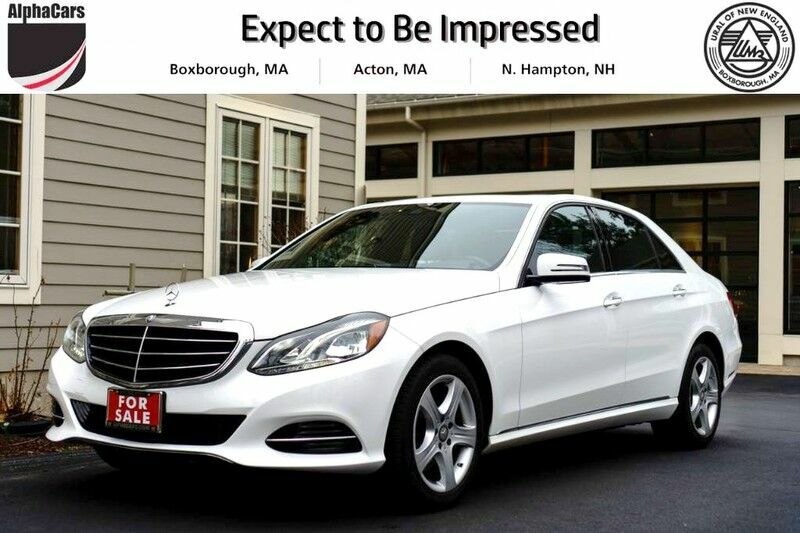 This Mercedes-Benz E 350 4Matic Luxury Sedan is a great one owner car. Great service records with all major service being performed by a Mercedes-Benz Dealer. With its Polar White paint and black interior this E350 is a great combination with some convenient options. Covered under Mercedes Factory Warranty until February 2020 or 50,000 Miles. AlphaCars offers you peace of mind when you shop with us. We, at AlphaCars perform a systematic comprehensive vehicle inspection and make all needed maintenance and service updates, prior to you purchasing any vehicle from us. After our thorough inspection process we found the front brake pads have 90% material remaining and the rear pads have 75% material remaining. The front and rear tires have 80% material remaining and have nice even tread wear. We go a major step further than your typical pre-owned dealership. Using a sophisticated Paint Meter tool (by Elcometer) we test each metal body panel of this Mercedes-Benz and have confirmed all panels have original paint which includes the hood, front fenders, all 4 doors, rear quarter panels, and the trunk lid. In addition, we provide a CARFAX report free of charge to you. You may consider this vehicle also if you are in the market for a BMW 5 Series, Kia K900, Infiniti Q70, Lexus GS350, Acura RLX, Jaguar XF, or a Cadillac CT6.